Where are the archives of our Dalit Trans foremothers and forefathers? Home Opinion Dalit History Month Where are the archives of our Dalit Trans foremothers and forefathers? 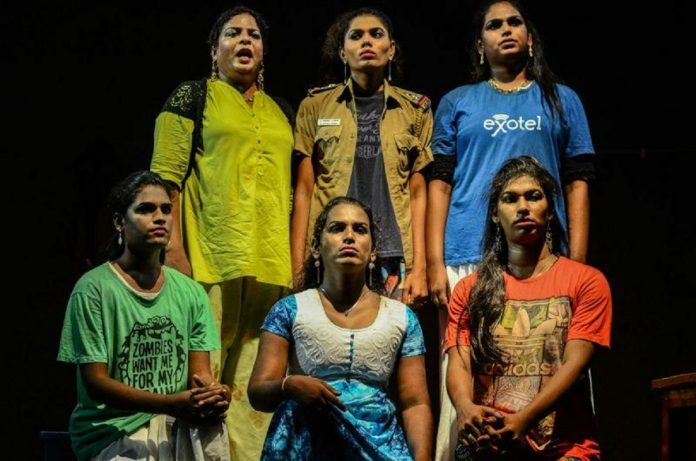 Dalit transgender people are at the intersection of caste and diverse notions of gender, and are always the last people who make it into the annals of history. The invisibility of the Dalit transgender community is a subject that requires urgent attention. In my work with Transrights Now Collective and Project Mukti, I often think about the history of transgender people as one driven by exoticisation, curiosity and voyeurism. To Indian historians and writers, transgenders are a category in documents, victims in fiction and curious objects to be observed. Our lives are an unfamiliar terrain ridden with taboos. The writers fail to see the human lives that challenge binaries imposed by cis-brahmanical patriarchy and how we struggle to fight for rights in a world that is largely divided by caste and gender binaries. Our stories, when written by oppressor castes, are written to reinforce phobias and stigmas against us. One could even argue that we are the most exploited category in Indian history which has volumes that describe our physical appearance, lives, and practices as a community, but hardly any are authored by us and for us. None reflect how we survive, live and love in independent, modern, digital India. Many of the contemporary problems and issues specific to transgender people are hugely misunderstood because of the poor representation of our community in politics and law. This poor representation is a result of the barriers transgender people face in education and employment. The trajectory from education to employment is hardly linear for a Dalit transgender person. We are turned away from most “respectable” professions. As one of the first computer science transgender graduates, I could not get a job for a year because of my Dalit and trans identity. It was only Project Mukti, a Dalit Bahujan technology startup that hired me full time and that is because it is led by Dalit Bahujan femmes. This is why we must centre our economic empowerment or we will always be treated as if we should only have begging bowls not technology as the way out for our people. As a community we have been deprived of both economic resources and basic human rights to allow us to live with dignity and self-determination. Under brahmanical Hindu society, we are exploited under their system of morality, purity and pollution which creates an environment where we are ostracised from society. That is why Dalit trans folks and the trans community in general require affirmative actions and laws that cater specifically to our issues. Only this will allow us to strike a historical bargain with dominant castes and genders in the fight for our self-determination. Building our own knowledge and documenting our histories of struggle and resistance is a key part of achieving this access. For example, when it comes to the recent battle against the BJP government’s transgender law, this legislation fell short because given the current legal frame and the moral registers through which courts approach our cases, many justice givers find it hard to imagine the idea that a trans person can be sexually harassed. This lack of empathy towards our community is rooted in a lack of understanding of us as human beings. This law also misgendered trans people and attacked at its core the function of the trans family. This was a transphobic process and represents what happens when trans people are excluded from the policy process for laws that are supposed to free us. The Dalit community has been in a perpetual battle with the state to create legal frameworks that secures our rights and protects them from the violence meted out to them on account of their position. When I look to Dalit History Month I am reminded of the power of Dalits in Indian history and the inspiring spirit of Dalit resistance in a way that draws our narratives away from victimhood and violence. This shift is crucial in the collective identity of the community, and for the cultural historians, the media and policy makers. A decade ago on 15 April 2008, then Tamil Nadu chief minister Karunanidhi became the first leader in the country to announce a law by government for providing services and helping transgender people by forming a transgender welfare board. This welfare board will oversee the provision of identity cards for transgender people, help us find affordable house, surgical facilities and safe access to healthcare, and also provide training and financial support that will enable us to be self-employed. This is a big win for the transgender community and gives us previously unavailable recognition and opportunity that we do not take lightly. On 11 March 2011, the Jayalalithaa-led government decided to celebrate Transgender People Transformation Day, every year on 15 April. This is also the time during which the Tamil Nadu government was considering providing social security to the transgender community. On 15 April 2014, the Supreme Court of India declared transgender people as a socially and economically backward class entitled to reservations in education and jobs, and also directed Union and state governments to frame welfare schemes for them. The court ruled that transgender people have a fundamental constitutional right to change their gender without any sort of surgery, and called on the government to ensure equal treatment for transgender people. The court also wrote that the Indian Constitution mandates the recognition of a third gender. These changes to our Constitution did not happen in a vacuum but is the result of the dedication and hard work of many in the transgender community who have fought tirelessly to take back what was denied to us. It is time to celebrate our communities as leaders and treat our work as historical acts of courage and resistance. The victories of the transgender community are victories for all Indian citizens who are hoping to build a progressive and equitable society. Dalit transgender people, who find themselves at the intersection of their caste identities and their diverse notions of gender, are always the last people who make it into the annals of history. Stories of our resistance and our communities’ evolution are often considered background noise, rather than the human histories that need to be centred to ensure liberation from both caste and cis-brahmanical patriarchy. That is why even if there are few written archives about my Dalit trans foremothers and forefathers I salute them now, for if they were not there I would not be able to fight now. Through my work with Transrights Now Collective we worked with Kattiyakkari Theatre Group to do performance based on our stories called Sandakaari. We hope this is the first of many assertions by Dalit trans people as our stories open the door to more resistance. As we celebrate Dalit History Month, we should also mark 15 April as Transgender Rights Day to celebrate trans resilience.